JKG Resource Manager – Orders and packs all Sunday supplies as well as delivers supplies to each site to ensure Sunday can create a fun and interactive environment through each lesson. The resource manager works about 10-15 hours a week for $15 per hour. JKG offers gas reimbursement for delivering supplies. JKG Sunday Substitute Teacher – Reviews and executes weekly Sunday lessons that align with pre-set age-appropriate learning goals in a fun, experiential, and interactive way. Age-appropriate and experiential lessons are provided for each class day. Substitute Lead Teacher $25 / Substitute Assistant Teacher $15 per hour. Subs are not placed every Sunday, but rather reached out to when there is a need. JKG Sunday Floater Teacher or Floater Assistant Teacher – Fills in the role they are needed most any given week, either teaching the lesson or helping to facilitate the weekly Sunday lessons. Floater Teacher $22 per hour / Floater Assistant Teacher $12 per hour. Floaters are placed every Sunday. JKG Sunday Volunteer – Volunteer as an Assistant Teacher at one of our JKG Sunday sites to gain experience in teaching, classroom management, and Jewish education. Volunteers will have a hands on role in the classroom, working with kids, and given real responsibilities and constructive feedback in order to learn and grow. You will volunteer your time to work at JKG on Sunday mornings. We will work with you and your parents to decide the best location and schedule for you. The JKG Afterschool Community is a completely unique place for kids to play and learn. We offer the services of a premium afterschool program with a full, experiential Hebrew school curriculum. We are, as our name implies, a joyful Jewish community. This will inform the way you execute all of your duties as a JKG teacher. Plan meaningful, engaging activities that reflect specific learning goals. You’ll have the JKG Curriculum Map to guide you, and you'll be surrounded by a smart and inspiring group of peer educators. Create and facilitate Hebrew lessons through games, activities, and movement. 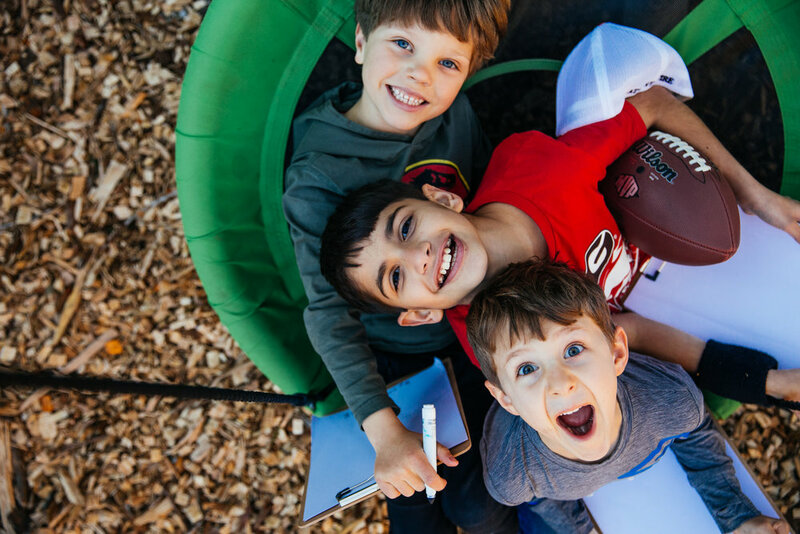 Run the show in homeroom, homework time, and playground time. Time Commitment – Occasional work, depending on volunteer’s commitment. Commitment can range from every week to once in a while. Hours are from 8:30 am to 12:30 pm Sunday mornings based on the JKG Sunday calendar. Qualifications – Complete a background check administered through JKG. Complete JKG’s online training. Be at least 16 years of age. Previous experience in childcare working in a school or camp preferred. Childcare experience, such as babysitting, counts too! Time Commitment – Flexible schedule. Most lessons take between 1 to 2 hours to complete. Qualifications – Have access to a computer. Previous experience teaching and implementing lessons, either in a year round school, after school, religious school, etc. How you will contribute to JKG – Create and/or revise JKG’s preschool to 7th grade lessons in Judaics and/or Hebrew.